A multimillion-pound project to extend the Nottingham tram system to Derby is being backed as a "priority" by a local economic partnership. 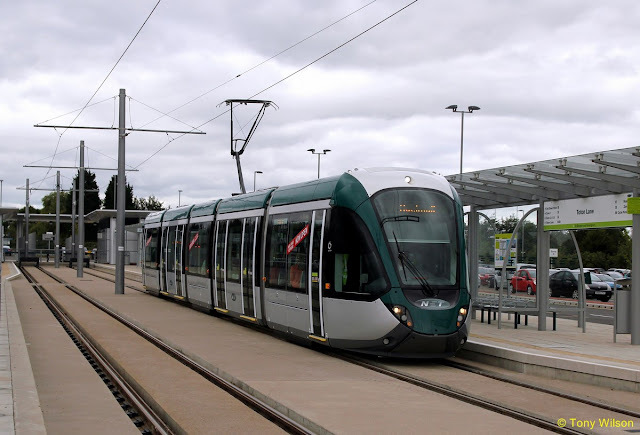 The tram, which currently serves the Nottingham area, would also run to East Midlands Airport and the proposed HS2 station at Toton. The suggestion is included in a briefing document on devolution from the D2N2 Local Enterprise Partnership. The timetable and costs of the project are not discussed in the document. 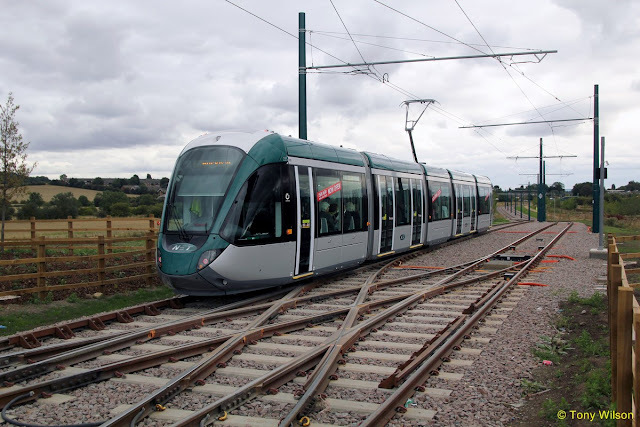 Andrew Braddock, chairman of the Light Rail Transit Association, who supports the project, said the trams would be an efficient and effective way of moving passengers from the HS2 station to the cities of Derby and Nottingham. He said: "I am not surprised by the move… as they start to look at it… they will realise that creating an East Midlands light metro network… is a good idea. "There have been a rash of modern new tramways across France as city mayors say... it's time we took the streets back for the people. "In Germany, they've had trams since the 1880s and were sensible and kept them." A transport review in 2013 estimated the cost of a new tram line at £20m for each mile of track, putting the cost of a link from Toton to Derby at about £200m. Another cost estimate for a tram line from Nottingham to Ripley in Derbyshire via Eastwood, Kimberley and Langley Mill was put at £180m. The document said the East Midlands councils are determined to "reach a unified position on the strategic transport interventions required to maximise the growth potential of the region".